It is summer season again which means that the sun would shine and grass would grow by leaps and bounds. 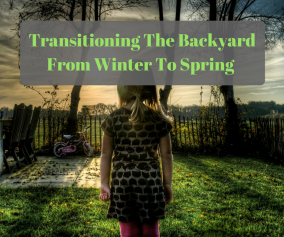 This is the time when your garden or backyard needs the most attention. 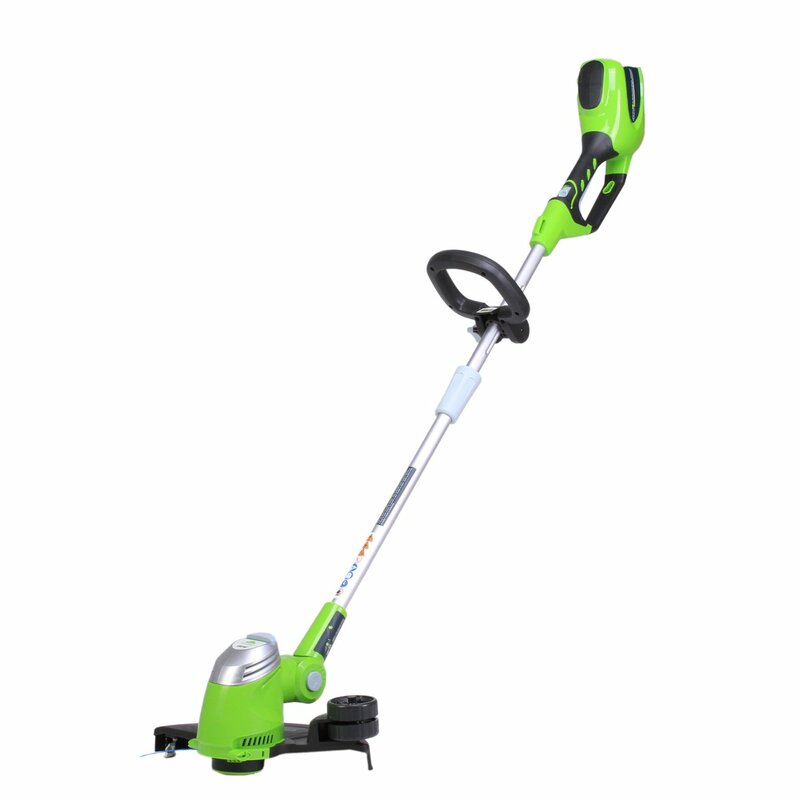 You have found the right place for the best cordless weed trimmer reviews. The constant trimming of grass and weed strings can be a hectic task especially if you don’t have the right kind of equipment. Thanks to the advancements in technology, the task of trimming weeds has become much simpler and sometimes even downright enjoyable. Cordless weed trimmers are the most wonderful addition to the pack of garden maintenance tools. The Best Cordless weed trimmers are battery operated and easily manageable. The running time of a fully charged battery may be anywhere between two to three hours of continuous work. Once your battery runs out of power, simply recharge it for an hour or so and you are good to go. With so many brands in the market, it is easier to get confused. Here we have compiled a list of four best cordless weed trimmers to help you in your search for the best. Once you have decided to buy a cordless weed trimmer visit your nearest supermarket. Check out the range of cordless weed trimmers and get to know the various functions and advantages that they offer. 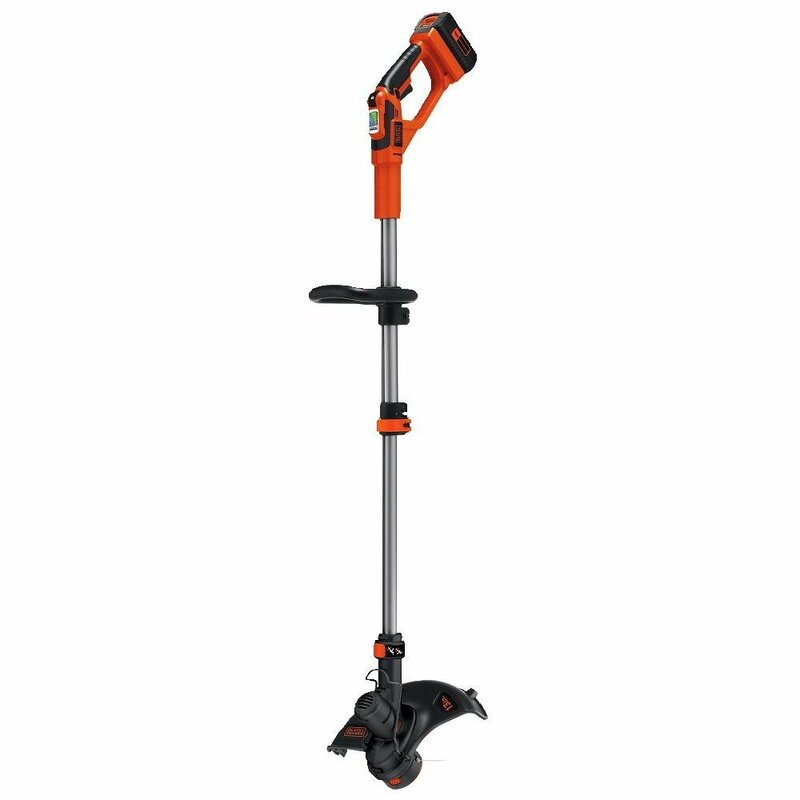 Check out the balance of the string trimmer by handling it in the store. After adjusting the handles, check if you can comfortable reach for controls and whether the weight is evenly distributed to ensure smooth running. Watch out for the gap between the cutting head and trimmer shaft. If a trimmer has large gap between the head and the shaft than tall grass and weed is bound to get stuck around the top of the cutting head thus making the trimmer slower or even stalling it altogether. Ideally the gap between the cutting head and trimmer shaft should be very small to enable smooth running. 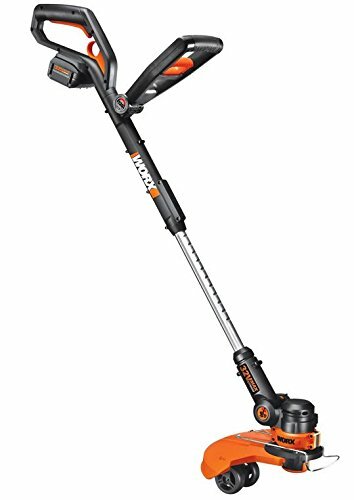 We reviewed a number of string trimmers and came to the conclusion that Black & Decker LST 136W 40V Max Lithium String Trimmer is one of the best cordless weed trimmer and exceeded expectations in getting the job done quickly and efficiently. The lithium ion battery is easily removable for charging. This also means that you can buy multiple battery packs to swap and use interchangeably. The reach and balance of this weed trimmer is excellent to say the least. 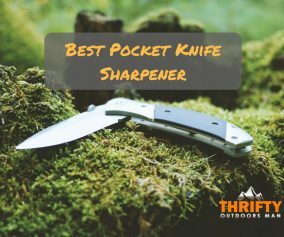 It is handsomely well-balanced and has an adjustable shaft to provide easy trimming experience. You can also rotate the head up to 180 degrees which changes the trimmer into an edger. The ‘self-feeding’ head releases you from the need to bump into the ground constantly for extra strings. Variable power output enables you to change the power between 6,500 RMP for simple weed cutting up to 8,500 RMP for tougher vegetation and stubborn strings. The trimmer is really powerful and out does many of its competitors. With exceptional customer reviews and proven brand name, this is hands down the best cordless weed trimmer. This weed trimmer is powered by a 40 V battery. The Power Drive Transmission conveys more power from the motor towards the blades so that your cutting job takes less time. The Automatic Feed Spool enables continuous work without bumping. The Power Command dial on the front enables the adjustment of power. You can easily change the motor power from minimum to maximum. Height adjustment enables you to cut weed without straining your back. Moreover, it can be converted from trimmer to edger. It is a powerful trimmer with 40 V battery and adjustable shaft to enable smooth trimming experience. Easy push start button, less noise and vibration and 3 position pivoting head makes it a great trimming machine. It even includes an edging wheel for walks behind the edging. 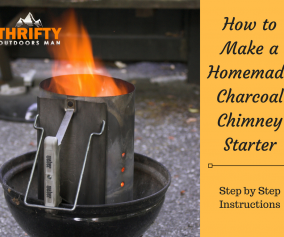 Run time is up to 30 minutes on a single charge. WOREX has taken weed trimming and grass edging to a whole new level. WOREX WG 175 has 12 inch cutting diameter for maximum trimming. It has satisfactory run time and is powered by a 32 volt battery. It is a trimmer, an edger and a mini-mower (yes, you guessed right that what dual position in-line wheels are for! 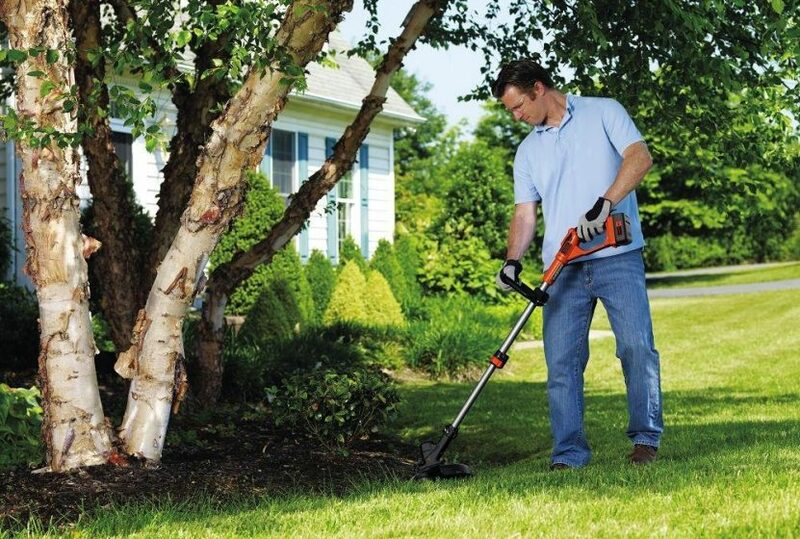 ), that's why it's considered one of the best cordless weed trimmers around. It is easy to make height adjustments and features 100% single line feed thus no bumping to extend the line. Among the best cordless weed trimmers, the Toro weed trimmer comes with an auto-feed line system which means that adjusting the line to a perfect cutting length can be done by switch of a button. 24 volt lithium ion battery packs more power than traditional nickle-cadameium battries. The weight is mere 8 pounds which makes it quite easier to carry around and having no cord attached is an additional benefit. Cordless weed trimmers are similar to gas or electric string eaters with one major difference being that they are battery operated and do not require a power cable to be plugged in. There is no power cord to limit your movement and you don’t have to worry about the trips to gas stations. 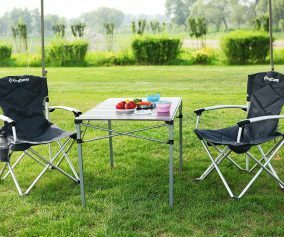 They are convenient, light weight and portable. Most importantly, they are not as loud as conventional weed trimmers so most of these do not require ear protection. 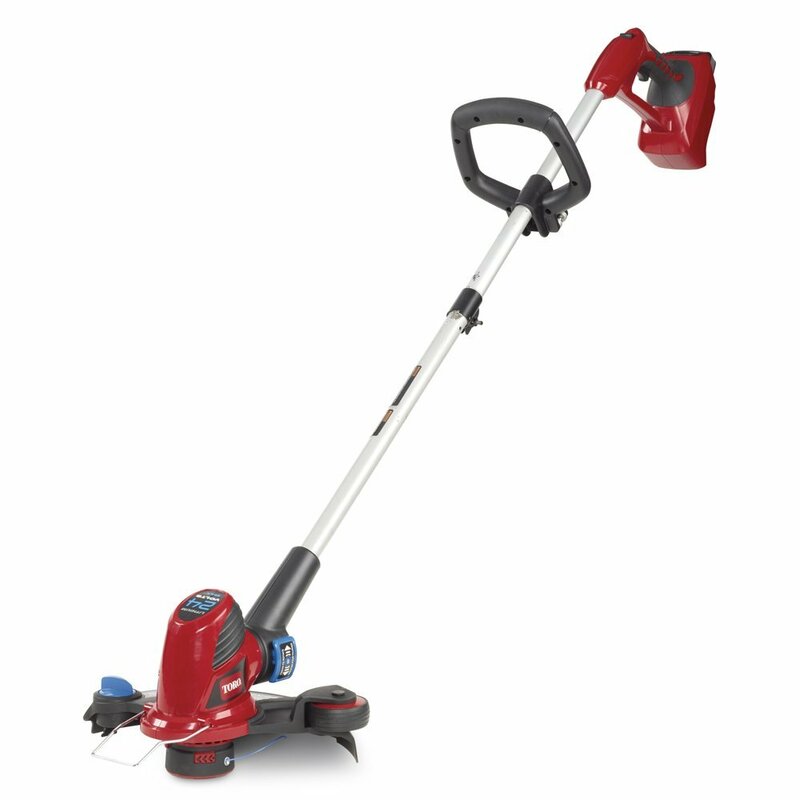 Please let us know in the comments if you have any suggestions for the best cordless weed trimmer?